Corporate events are gatherings for a company that can take place in a quite, peaceful dinner atmosphere, at a decorative and playful banquet hall, or even in a conference room in your corporate building. The style of the event can range from simple and elegant to elaborate and fun, depending on the type of event, the type of business that the event is for, and the allotted budget for the event. Guests of a corporate even can include current employees, trainees, and even long time customers of the company. Many corporate events include an award banquet and ceremony to honor outstanding employees, but can also include VIP customer parties and motivational speakers or entertainers. Corporate events do not have to be fancy gala parties; they can incorporate employee training, meetings, conventions, and trade shows. Travel can also be involved in the planning process wherein certain employees are asked to participate. Depending on the budget, some organizations can plan the corporate event for your business or company and completely customize it for your specific needs. These types of corporate events are sometimes referred to as “Bespoke Corporate Events,” describing the made-to-order meaning to their clients. These organizations will meet with you to understand the goals of the event, and will go over every little detail to ensure that your corporate event is memorable for all who attend. Some companies will even allow you to peruse activities and programs they offer and merge them together in a convenient format to use for your special event. 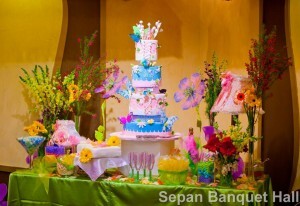 At Sepan Banquet Hall and Catering, we offer the perfect environment for both quiet and active corporate events. We love to host for our guests, and will make sure that all of your corporate event planning needs are met through our venue and outstanding customer service. Feel free to contact us today for more details regarding our hall and catering services. 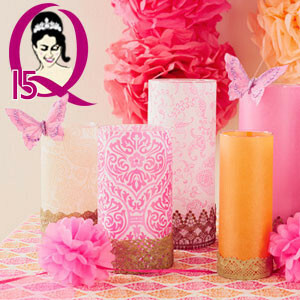 The planning process for a large celebration like a quinceañera can be overwhelming. The key is to organize and outline the process from the very beginning like an event planner would do. Professional party and wedding planners have certain methods and tips in order to stay on top of the planning process and make sure everything runs smoothly on the big day. The biggest tip to having an amazing celebration is to plan ahead and use tools to organize the planning process. This might sound boring because celebrations and parties are supposed to be fun, but behind all the glitz and glamour is a highly organized and professional event coordinator, you! This is the best way to ensure you have your dream quinceañera filled with beautiful memories and avoid nightmare stories or last minute glitches. Follow our recommended tips. First, it’s a good idea to start off with an organizer or planner that’s specifically designed for quinceañera celebrations. It will make your work much easier by providing you with a list of things to get done while reminding you of any steps you may have missed along the way. A quinceañera planner will prevent potentially costly and embarrassing mistakes from happening. Next, set up a meeting with your immediate family to share ideas, discuss the budget, size of thre celebration, and most importantly, what a quince celebration means to each person in the family. If you don’t have your quinceañera planner yet, remember to take notes during the meeting. The quinceañera rite-of-passage tradition dates back to over 500 years ago. Getting the family involved with the planning of the quinceañera celebration will assist each family member to appreciate their heritage more and enjoy being a part of the planning process. Once the budget and celebration size have been decided, it’s a good time to calculate how much money should be allocated for each step of the celebration. Many latino families follow the tradition of honoring godparents, family members, and friends by gifting money or items to be used in the quinceañera celebration. This tradition of sponsorship is helpful in today’s economy when even the smallest party can get very costly. The following chart can be used as a guide when deciding the amount of money that should be allocated for each category of your quinceañera celebration. 50% – Food, beverage and banquet hall. 20% – Photographer and/or Videographer. Each category can be changed depending on the choices and services you prefer for your big day. A great party isn’t about how much you spend on it. It’s all about how well everything comes together in the end. Careful planning is important, especially with a limited budget. 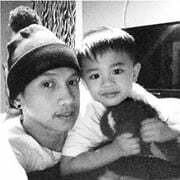 Smart planning will eliminate disappointments, heartache and wasted money. Once you have your budget in place you can begin to set up meetings with your chosen vendors for each category. Following and constantly maintaining your quinceañera planner might seem like a homework assignment, but you’ll be proud of yourself for planning and organizing on your own. Follow these easy tips, and your guests will be leaving your quinceañera impressed and filled with unforgettable memories of your beautiful day. It may not seem possible, but you can have the Quinceañera you’ve always dreamed about regardless of the size of your budget. There’s no reason why you shouldn’t celebrate one of the most important and memorable days of your life. The key is to approach the party planning process smarter, using your head instead of your heart. 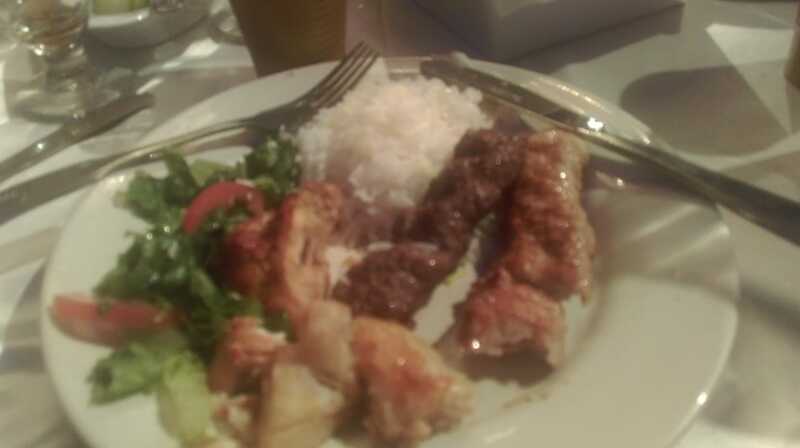 For the Quinceañera dinner, consider having a buffet instead of a sit down meal. For slightly bigger budgets consider having food stations. Food stations are fun and engaging because someone is preparing and serving the food, but they are less costly that a sit down luncheon or dinner. Supply your own drinks and beverages. Many banquet halls will allow you to bring your own drinks, which is less expensive than having an open bar. Some hotels will let you bring your own drinks but may charge a corkage fee, which is a fee for every bottle that’s opened during the party. Another alternative is to negotiate the corkage fee with the hotel prior to agreeing on a contract price for your Quinceañera party. Before purchasing your beverages, it’s a good idea to make arrangements with the store to make sure you’ll be able to return the unopened bottles for a refund. Don’t be afraid to get down and dirty with the party decorations. The decorating process will be easier with more simple themes. A less complicated theme will also ensure that you have a beautiful and affordable end result. This is your time to shine and share what you have been dreaming about having for your special day. Your family members and close friends can help with creating floral centerpieces, party favors, back drops, table setting decor, candy bar setup, etc. for your Quinceañera party. One of the many advantages of renting a banquet hall for your Quinceañera celebration is that you can use their kitchen. A caterer can be hired for the food preparation, but if you’re on a tight budget there are alternative options. Most families have someone who loves to cook and host large parties. If you’re lucky enough to know someone close to you who would enjoy helping out with your party, then you should speak to them. You can discuss the details and work out a financial arrangement. If necessary, ask other family members and friends to assist with the cost of food. The Quinceañera is a Latino tradition going back over 500 years, and the entire community would donate money and assist in preparations in order to have a large party for everyone to enjoy. When asking friends and family for help, you can talk about the history and tradition of the Quinceanera rite-of-passage celebration. When everyone shares in making your Quinceanera dream come true, it’s memorable and enjoyable for everyone. 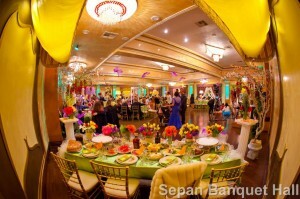 Sepan Banquet Hall and Catering located in Los Angeles offers endless customization options for your Quinceañera, ensuring a memorable party for you and your guests that will be talked about for years! Contact us today for our special offers. During this time of year, it’s common for many families, couples, and parents to begin planning some type of party. 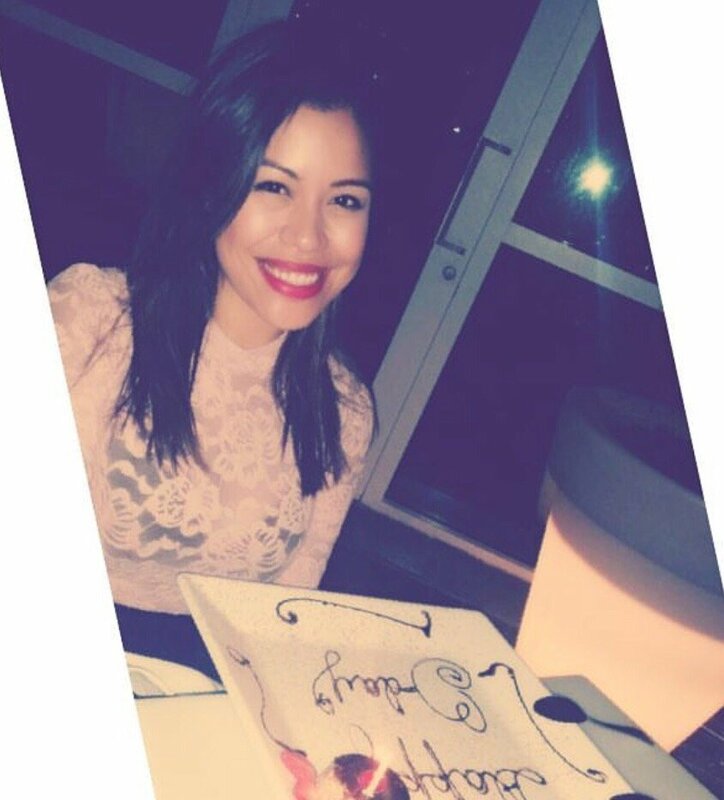 The beautiful Los Angeles weather from spring to fall is filled with people celebrating special events like a graduationparty, wedding, family reunion, or engagement party. Regardless of what your special event is, the selection of the venue should be the first step in your party planning process. You might be considering having the party at your home, but consider the pros and cons: Do you want to give off a more casual vibe for your event? Is your living room or backyard big enough for the number of guests you’re expecting? Are you going to have some help with catering or clean up? You may be able to save a few bucks by hosting the event at your home, but will definitely be stressed and tired as a trade-off. Choosing a banquet hall for your special event will take away the headache and allow you to enjoy your day with your guests without worrying about space, clean-up, or anything else. Once a venue is chosen for your special day, the other aspects of the party fall into place more easily. When looking for the perfect venue for your party, it’s important to consider what the location has to offer other than its size and space. There are hundreds of banquet halls in the Los Angelesarea, so it may be easier to find the perfect hall at a relatively competitive price. The banquet hall is the most common type of indoor venue for special occasion gatherings. Banquet halls can be found in clubs, hotels, restaurants, or in facilities designated specifically for a ceremony or special event. When looking for a banquet hall, consider the surrounding area: is it located in a quiet, residential area where residents will probably be disturbed by the noise? Does the hall have convenient and nearby parking to accommodate all of your guests? It’simportant to find out about parking areas that require permits or are a part of metered parking, especially in the Los Angeles area. Banquet halls are ideal venues for any special event such as an engagement party, wedding ceremony, wedding reception, baby shower, or retirement party. Smaller banquet halls are perfect for the events involving younger crowds and children, such as a quinceanera, sweet sixteen, bat/bar mitzvah, graduation, or welcome home party. For any type of party or special event, it’s important to consider how the venue or banquet hall can be customized for the specific type ofevent. There can be a theme, designated activity area, entertainer, deejay, candy bar, photo booth, snack bar, wet bar, dance floor, etc. The possibilities are endless because the thousands of square feet of space are available at your disposable, where you and your guests can dance, eat, socialize, and be entertained. Lighting and sounds systems should also be available at the banquet hall to ensure an unforgettable event. Whether you’re planning a small gathering or a big blowout bash for your special occasion, banquet halls offer the convenience for you to customize to your liking, bringing to life the event you’ve dreamed of for you and your guests. Be sure to understand whether or not any equipment or other type of set up is required from the venue’s management team and your party planner. If everything is prepared and set up beforehand, all you have to do the day of the party is showup and have a great time. There’s nothing like a well-planned and organized party, and banquet halls offer that added boost of security and organization to make sure that your event is unforgettable for you and your loved ones. 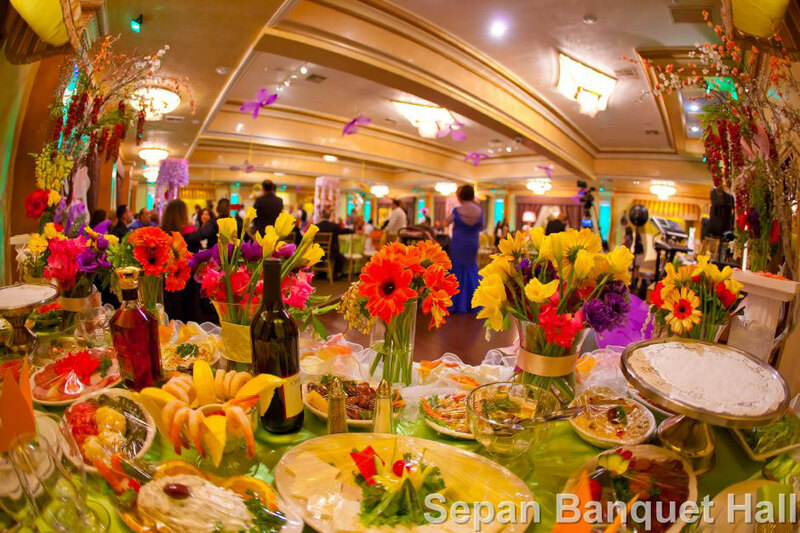 Sepan Banquet Hall and Cateringlocated in Los Angeles, CA, offers endless customization options for your special event, ensuring a memorable party for you and your guests that will be talked about for years! Call us today for an appointment and to find out how our ourvenues have been the location for endless parties and events. During this time of year, it’s common for many families, couples, and parents to begin planning some type of party. The beautiful Los Angeles weather from spring to fall is filled with people celebrating special events like a graduation party, wedding, family reunion, or engagement party. Regardless of what your special event is, the selection of the venue should be the first step in your party planning process. You might be considering having the party at your home, but consider the pros and cons: Do you want to give off a more casual vibe for your event? Is your living room or backyard big enough for the number of guests you’re expecting? Are you going to have some help with catering or clean up? You may be able to save a few bucks by hosting the event at your home, but will definitely be stressed and tired as a trade-off. Choosing a banquet hall for your special event will take away the headache and allow you to enjoy your day with your guests without worrying about space, clean-up, or anything else. Once a venue is chosen for your special day, the other aspects of the party fall into place more easily. When looking for the perfect venue for your party, it’s important to consider what the location has to offer other than its size and space. There are hundreds of banquet halls in the Los Angeles area, so it may be easier to find the perfect hall at a relatively competitive price. The banquet hall is the most common type of indoor venue for special occasion gatherings. Banquet halls can be found in clubs, hotels, restaurants, or in facilities designated specifically for a ceremony or special event. When looking for a banquet hall, consider the surrounding area: is it located in a quiet, residential area where residents will probably be disturbed by the noise? Does the hall have convenient and nearby parking to accommodate all of your guests? It’s important to find out about parking areas that require permits or are a part of metered parking, especially in the Los Angeles area. Banquet halls are ideal venues for any special event such as an engagement party, wedding ceremony, wedding reception, baby shower, or retirement party. Smaller banquet halls are perfect for the events involving younger crowds and children, such as a quinceanera, sweet sixteen, bat/bar mitzvah, graduation, or welcome home party. For any type of party or special event, it’s important to consider how the venue or banquet hall can be customized for the specific type of event. There can be a theme, designated activity area, entertainer, deejay, candy bar, photo booth, snack bar, wet bar, dance floor, etc. The possibilities are endless because the thousands of square feet of space are available at your disposable, where you and your guests can dance, eat, socialize, and be entertained. Lighting and sounds systems should also be available at the banquet hall to ensure an unforgettable event. Whether you’re planning a small gathering or a big blowout bash for your special occasion, banquet halls offer the convenience for you to customize to your liking, bringing to life the event you’ve dreamed of for you and your guests. Be sure to understand whether or not any equipment or other type of set up is required from the venue’s management team and your party planner. If everything is prepared and set up beforehand, all you have to do the day of the party is show up and have a great time. There’s nothing like a well-planned and organized party, and banquet halls offer that added boost of security and organization to make sure that your event is unforgettable for you and your loved ones. Sepan Banquet Hall and Catering located in Los Angeles CA, offers endless customization options for your special event, ensuring a memorable party for you and your guests that will be talked about for years! Call us today for an appointment and to find out how our our venues have been the location for endless parties and events. So you’re finally beginning to plan your wedding! This can be both stressful and exciting, but the sooner you begin, the less painful the process will be. One of the first things that should be taken care of in the wedding planning process is the reception banquet hall. You may have dreamed of something specific for your big day, but it’s important to approach this step practically while keeping in mind other factors that may affect your choice of venue: the date of your wedding day, the ceremony location, and the number of guests attending. The reception banquet hall is the place where you and your guests can relax, eat, dance, and have a good time, so it’s important to choose wisely as it sets the tone for the fun and final part of your big day! As soon as you know where the ceremony will be held for your wedding, you will want to consider a reception banquet hall close by for the convenience of you and your guests. This will give peace of mind to your guests, in particular the guests that are from out of town, because the commute will be much shorter and easier with a reception banquet hall that’s nearby. If you have many guests who are not from the area, you may also want to consider a reception banquet hall that’s inside of a hotel, or at least has a hotel nearby where your guests will be able to spend the night. If you know where your ceremony is going to take place, this means that your wedding date is set. Once you have a set day for your wedding, you will need to be a bit more flexible in terms of booking your favorite reception banquet hall. It may be easier to choose a date according to the availability of the specific hall you desire, and then book your ceremony according to the date set. This is because many reception banquet halls are booked months, even years, in advance, especially during the most popular wedding months of June to September. Los Angeles in particular is a city with a high concentration of weddings that take place in the summer and fall months, so it’s important to book your hall prior to booking the other aspects of your big day. If you’re keen on saving money or don’t have a big budget to work with, you should consider booking your reception banquet hall on a Friday since chances are you’ll get a better deal on the price. When considering different reception banquet halls for your big day, make sure that the venue makes sense according to your needs. You want to the reception banquet hall to comfortable seat all of your guests so that tables and chairs aren’t cramped together. You also want to avoid a reception banquet hall that’s too large, because the empty space may not look appealing in photographs. For example, if you’re expecting 100 guests to attend your wedding reception, don’t book a hall that seats less than 100. Sometimes guests who don’t RVSP will show up, or guests will bring dates without noting so in their response. For these reasons it’s much more practical to have too many chairs than not enough. Parking availability is also essential in choosing the right reception banquet hall; you want to make sure that all of your guests will be able to park nearby, or ensure that valet services will be available for their convenience. It’s important to consider the services offered by the halls you’re comparing before settling on one. Does the venue offer catering services? If not, you may have to spend more than you would spend with an in-house caterer. Does the venue offer decorations? If not, do they allow outside decorations? You will also want to ask about live music and deejay services, because sometimes it may be cheaper to use the services offered by the venue instead of bringing them in from outside providers. Finally, don’t forget to talk business with the manager of the venue of your choice. Ask about payment methods/policies and cancellation policies. Be sure to compare pricing with services offered in-house, so that you don’t feel obligated to settle for a service that you’re not 100% happy about when the price is the same as an outside vendor providing that same service. You may also want to ask if there are any other events booked on the same day, because this could affect the time of your reception. Sepan Banquet Hall & Catering located in Los Angeles offers two conveniently sized venues that you can choose from for your wedding day: one that accommodates 300 guests and a smaller hall that accommodates 170 guests. Our venues are also perfect for engagement parties, birthdays, showers, quinceaneras, bah/bat mitzvahs, and anniversaries. Contact us today to book an appointment and see why our halls are one of the most popular in Los Angeles. Once you have your reception banquet hall booked for your wedding day, the rest of the planning process will be much easier! 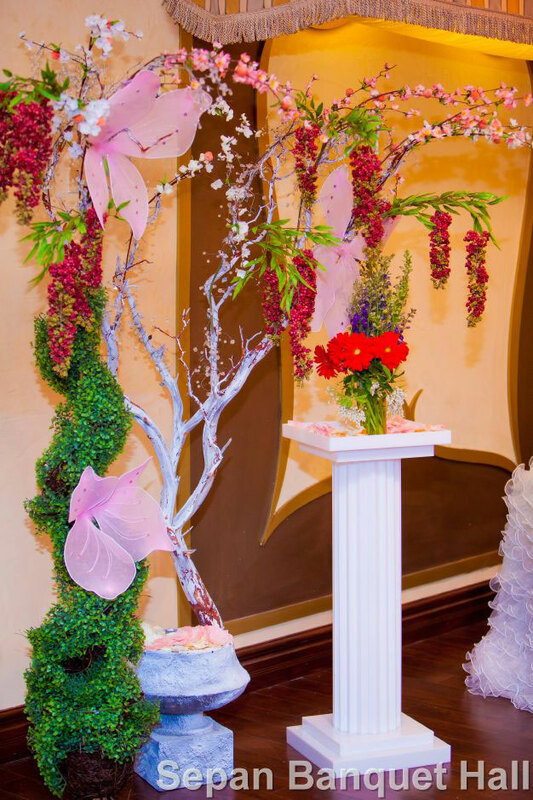 You can now start choosing decorations, themes, flowers, and begin the more detailed steps of planning a wedding. Good luck, and don’t forget to enjoy the process! Finding the perfect catering and banquet halls in Los Angeles for your upcoming events doesn’t need to be difficult. Los Angeles is the perfect place in Southern California to book a venue for a number reasons, including the amazing weather, accessibility to various types of transportation, and reasonably priced catering halls due to the competition in the industry. From luxurious restaurants to casual country clubs to yacht cruises, Los Angeles offers a very diverse selection of venues to choose from. Catering halls come in all different sizes and price ranges, welcoming all types of events includingweddings, engagements, bridal showers, baby showers, bar and bat mitzvahs, sweet sixteens, birthday parties, anniversaries, private events, and corporate events. Most venues offer a wide range of services from on-site restaurants and catering services to party equipment and decorations. Some venues may even offer honeymoon and travel arrangements for your convenience. Many hotels in Los Angeles will also accommodate your event offering a different vibe withunique views and backdrops if you would like to hold your event outdoors. Hotels are also convenient if you have many guests from out-of-townwho will need a place to stay overnight anyway. Although most weddings and engagement parties in Los Angeles are held during the peak seasons during spring, summer, and fall, it is important to check the weather beforehand for anyeven that will take place during the winter to ensure a comfortable and accessible party for your guests. For example, if you have chosen a yacht for your event, make sure you also have an indoors option in case the weather isn’t ideal for your special day. Your even planning may be easier than you think because most banquet halls in the Los Angeles area already have established relationships with other vendors in their field of business, such as off-site caterers, deejays, event planners,equipment rentals, bridal shows, live entertainment, photo booths, limo services, and even dress/gown/tuxedo rentals. Some venues offer their customers different packages that will include whatever you need for your special event to ensure that you have your dream celebration with very little planning and stress. If you’re not sure about what kind of deal your getting with package deals from venues who offer you various services, you may decide to shop on your own for outside vendors instead of agreeing on the spot to the vendors offered by the catering hall. This is especially important if you’re looking to stretch your dollar or if your budget is limited. Obviously this option will take up more time and effort on your part will probably save you some money in the future. Don’t forget that banquet and catering halls in Los Angeles get booked very quickly, so it’s important to choose a venue as soon as you know about an upcoming event. Some banquet halls are booked at least 2 years in advance so this step is verycritical if you want your desired venue on your desired date of choice. Keep in mind that busiest months of the year for venues are from June to September, so if your event is going to take place during these months then you may want tobegin planning even earlier! Before booking your desired catering hall, it’s a good idea to check with others you know who have held events there. Online review websites may also help with your decision such as Yelp, Wedding Channel, Wedding Wire, and Google Reviews. This research will also give you some ideas about the questions or considerations you may have when meeting with the catering hall’s manager to book your event, because you want your day to run as smoothly as possible! 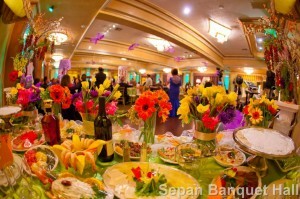 At Sepan Banquet and Catering Hall we have a solid reputation in Los Angeles as one of the friendliest halls with friendly staff to ensure that your event will be unforgettable! Contant us today to book an appointment and see what we can do for your special day! 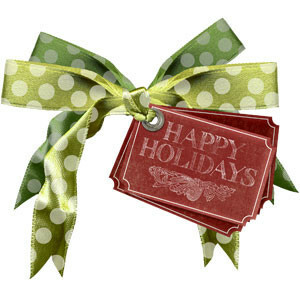 Is your company planning a holiday party for its employees? Whether it’s for Christmas, Halloween, Thanksgiving, St. Patricks Days, or any other reason to celebrate, it’s worthwhile to consider having it held at a venue such as a banquet hall facility. Many companies choose to host their parties and celebrations on office grounds, but it’s not always the best idea and doesn’t really feel like a party when your desk is nearby. Getting the staff out of work mode means getting them out of office facilities, loosening up the atmosphere and creating a more festive environment for everyone. There are many advantages to planning your office holiday party at a Los Angeles banquet halls, making it a much better option than holding it on office grounds. The most rewarding benefit to holding a company holiday celebration at a banquet hall is the festive environment that it creates for co-workers, as mentioned above. It cannot be stressed enough that the location of any celebration is just as important as other factors such as food, music, and drinks. When employees have to “celebrate” in the work environment, they’re less likely to let loose and have a good time, since they’re unable to completely step out of work mode and the work state of mind. The simple act of taking your employees out of the office and into a lounge or other Los Angeles banquet hall facility allows everyone to be more sociable and have a better time than they would otherwise. A second advantage of having a company holiday party at a venue such as a Los Angeles banquet hall is that it saves your staff the work of preparing for the event, setting up tables and chairs, ordering food, and decorating the space. It may not seem like a lot of work, but these minor tasks can be time-consuming and may even contribute to down time from office work. Aside from the preparation, the even more difficult task is the one of clean up. This is a job no one wants to be burdened with, especially after just having celebrated. After partying, no one wants to clean up the mess of the people they were just partying with! Why not take care of the hassle and leave on a good note, while knowing that everything will be taken care of by the friendly and professional banquet hall staff? When you host your Christmas or any holiday party at a banquet hall facility, you’re given the luxury of a full-time staff taking care of all the important details. 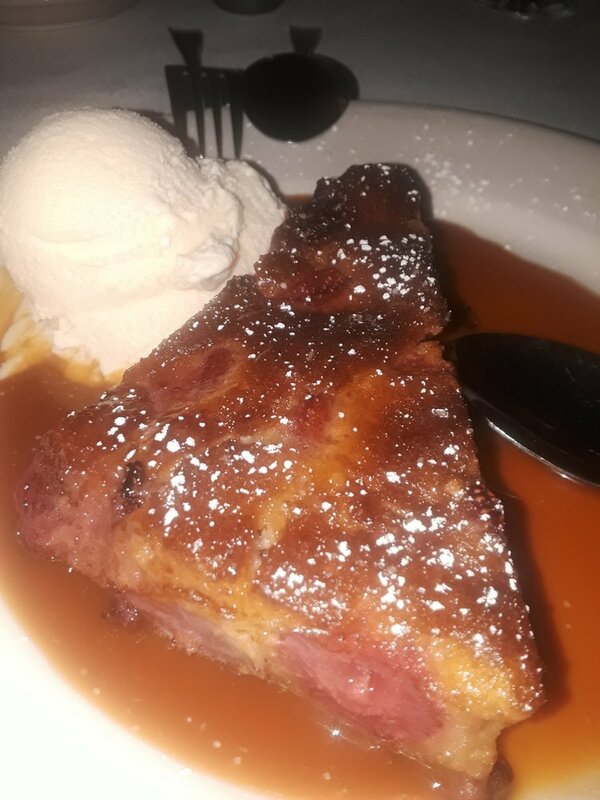 Another advantage to hosting your company holiday party at a Los Angeles banquet hall is that it’s a way of showing your staff your appreciation for all the work that they do. Your employees will feel happier and more content at a space like a banquet hall that allows them to socialize and be themselves, versus being in the same old boring office for yet another few hours. This holiday season, treat yourself and your staff to a real party by having it hosted at an elegant and sophisticated banquet hall facility such as Sepan Banquet Hall! Contact us today for an appointment! 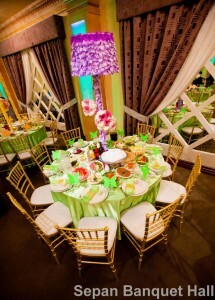 There are many banquet halls located in the Los Angeles area and they all charge different rental fees. It’s important to consider certain factors before settling for a particular venue. Compare the fees charged by your favorite banquet halls, and make sure you understand what is and isn’t included in the fees before coming to an agreement. What kind of services will you receive with the budget that you have? 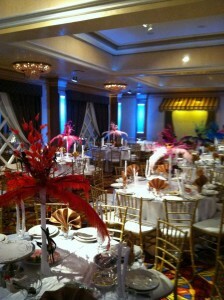 Are there ways you can stretch your dollar, such as holding the wedding reception in the same location as the ceremony? The wedding ceremony and reception are the most vital parts of any wedding. The wedding reception is the most memorable part of the day for you guests, where they can have fun and enjoy a good meal. It sounds simple enough, but the reception portion of your wedding may be the most difficult and costliest to put together. Although it’s important to mind your budget, a quality venue with great service and a beautiful interior will make a big difference in the way you and your guests remember your big day. If the default decor and look of the hall fits with your wedding color scheme and style, even better. A well-lit banquet hall will also look better in photographs as well as ensure a comfortable dining environment. There should also be adequate ventilation and air conditioning for the comfort of you and your guests. 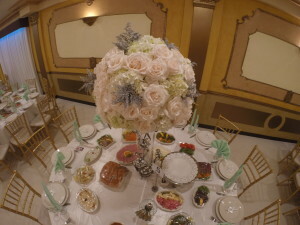 Location is another important factor to consider when choosing a banquet hall for your wedding. The locations of the ceremony and reception shouldn’t be too far apart for the convenience of your guests. Parking is also important when it comes to the convenience of the hall; do they have enough parking space for all of your guests, or do they offer valet parking services? This next point may be obvious to most, but it’s absolutely essential to know the number of guests that will be attending your wedding reception before settling on a venue. This factor will determine the size of the hall that you need so that you don’t spend more than you need to on a oversized banquet hall. Banquet halls in LA tend to get booked very fast, particularly in the Glendale/Burbank/Tujunga/Pasadena areas, so make sure your invitations are sent out early enough to determine how many of the invitees will be attending. Ultimately, it’s important to choose a hall that’s in sync with your needs and your budget. Be sure to give yourself enough time and patience to do research on banquet halls, making sure you’re absolutely happy with your chosen space for your unforgettable day! The holidays are just around the corner, and for those of us who work a 9 to 5, that means Christmas office parties! It’s fun to think about all the food and festivities of an given holiday party, but for those who are responsible for putting the party together, it’s important to stay organized and mindful. The following checklist will assist you getting your office party together efficiently, ensuring that everyone (including the party planners) can enjoy and have fun! Before even beginning to make plans for your office Christmas party, a budget needs to be set to make sure that all the planning is done within means, avoiding a budget crisis in the future. Setting a budget means knowing the number of employees attending and figuring out an affordable price per person. The banquet hall for the party, entertainment, beverages, and food will determine a large a portion of your budget. It’s important to be generous with your budget within limits, because the office Christmas party is about more than celebrating the holidays – it’s also about showing your appreciation to your employees and co-workers. If you’re considering holding your workplace Christmas party on your company’s property, it could save you money and be more convenient for the employees. If you’re considering holding your Christmas party offsite, you might be surprised to find that a spacious banquet hall could actually make for easier planning and organization. An offsite banquet hall also means that your employees will feel more inclined to relax and enjoy themselves in a new, fresh space outside of the work environment. When choosing a banquet hall for your office Christmas party, it’s important to consider its location and parking. You don’t want your relaxing offsite party to be many miles away and with inconvenient parking, because that would defeat the purpose of holding an office party offsite. The banquet hall should be at an easily accessible location for all of your employees and provide enough parking to ensure peace of mind. The type of banquet hall that you choose will determine the general feel and look of your party. A banquet hall is ideal for an elegant, sophisticated Christmas party. Many banquet halls offer rooms of different sizes according to your budget and number of guests attending, while also providing the tables, chairs, tableware, and waiting staff for the party. Catering is usually provided in-house by many banquet halls as well, allowing you to choose from a sample menu instead of trying to figure out what food to bring and where to hire a caterer. Some may even provide the décor, although many banquet halls are already decorated beautifully in their structure and layout. An outdoor space such as a garden or park will make for a more relaxing and casual atmosphere for your office Christmas party. In these cases, you should consider the cost of getting equipment, decorations, and food for the space, which may actually be less expensive for parties with a shorter guest list. Once the banquet hall for your office Christmas party has been chosen, you can start looking for a caterer. As mentioned in step two, many banquet halls can provide their own in-house catering services, but whether or not you choose their services or an offsite caterer depends on your budget, the type of food you and your guests prefer, and the theme of the party. A good catering service should offer you a range of different choices in terms of food and types of service. If your party is about having fun and celebrating, you might prefer a cocktail menu and buffet instead of a seated meal service. A good catering service should also take into consideration any dietary requirements that your or your guests may have in their menu, such as allergies to specific foods. You may want to prepare a list of such requirements and discuss them with potential caterers to see what choices and options they have according to your needs. 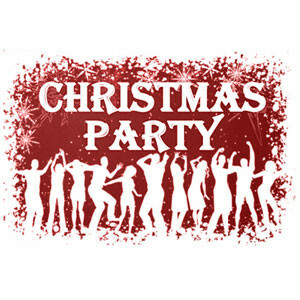 Don’t forget to speak to your caterer regarding refreshments and beverages for your office Christmas party. You might even be able to provide an open bar for your guests, depending on your budget and what you feel is more important for a successful office Christmas party. Keep in mind that the banquet hall providing this service should hold a valid license for serving alcohol. Finally, you should provide a copy of your guest list to your caterer so they can be mindful about the amount of food they provide as well as how large the waiting staff should be, if you’re using their waiting staff. Your goal should be to create an environment that is enjoyable, relaxing, festive, and most importantly, without complication. You want to avoid running out of food, receiving poor service, or any other complication that would put a damper on the fun atmosphere. To sum up, an office Christmas party is a simple and thoughtful way to thank your employees for all the work that they’ve done during the previous year. It also provides an environment where you and your employees can enjoy each other’s company without worrying about work-related issues. With smart planning, the perfect banquet hall, and a good catering service, you can put together an office Christmas party that will be talked about until the next party!